The Rajdhani Unnayan Kartripakkha is the capital development authority of Dhaka in Bangladesh. The important and major activities of Rajuk are Planning that includes physical development, planning & designing the city & construction. Developmental Control, Organizing Seminars & Workshops on urban issues & represent the city and Bangladesh around the world. RAJUK exercise development control function as per provisions laid down in the East Bangal Building construction Act, 1952 and its subsequent Amendments and the Rules & By-laws framed there under. Every construction/erection/excavation with in the jurisdiction of RAJUK requires permission/approval from the Authorized Officer or Building Construction Committee appointed under the provision of the Town Improvement Act, 1953. Any type of building construction, housing, commercial, industrial and whatsoever need planning permission and they must be in conformity with the land use provision of Master Plan/Urban Area Plan/Detailed Area Plans of different SPZ’s. “Building“ as defined in the existing building construction Rules includes a home, hut, wall and any other structure where masonry bricks, corrugated iron sheet, metal, tires, wood, bamboo, muds, leaves, grass, thatch or any other materials whatsoever. The Rules are updated time to time as per requirements. At present, two Building Construction Committees in force in which the Authorized Officers has been working as member-secretary of the committee. Urbanization is the physical growth of urban areas as a result of global change. It refers to a process in which an increasing proportion of an entire population lives in cities and the suburbs of cities. Historically, it has been closely connected with industrialization. Urbanization indicates a change of employment structure from agriculture and cottage industries to mass production and service industries. Urbanization occurs naturally from individually and corporate efforts to reduce time and expense in commenting and transportation while improving opportunities for jobs education, housing and transportation. Living in cities permits individuals and families to take advantage to the opportunities of proximity, diversity and market place competition. In 1947, when India was partitioned, Dhaka became the seat of the provincial government of East Pakistan. The population increased from 0.28 million in 1951 to around 1.2 million in 1971. As the Capital of Bangladesh, which emerged as an independent country after the War of Liberation in 1971, Dhaka has now become one of the fasted growing cities in the world and its population is likely to exceed 10 million by this time. Although efforts have been made in the past to plan the growth of the City from a district town to one of the largest cities in the world, most have been unsuccessful. As a result, the living conditions have deteriorated very rapidly and the social as well as physical infrastructure are on the verge of collapse. Immediate actions are necessary to bring some discipline to the future growth of the city. The ‘Dhaka Improvement Trust’ (DIT) was established in 1956 under the provision of the `Town Improvement Act -1953’ (TI Act 1953). The objectives of the Act are aiming to improve physical and urban condition of the Dhaka City. DIT was a corporate body having supreme planning and development control power within its jurisdiction. 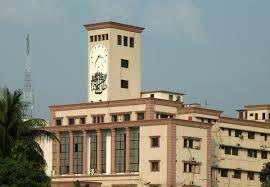 To govern DIT, a Trustee Board was constituted with Seven Members as per provisions of the Town Improvement Act 1953. Two other Members included when the district of Narayanganj incorporated within the jurisdiction of DIT. The Chairman and three other Trustees were appointed by the government notification. The members of the Trustee Board were chosen from different service agencies and different professions to involve and contribute in the development process of Dhaka. The Chairman of Dhaka Water Supply and Sewerage Authority, the Deputy Commissioner of Dhaka, the Chairman of Dhaka Municipal Committee, the Chief Engineer of Public Health and Engineering Department, and the Chairman of Narayanganj Municipal Committee were ex-officio Trustees. The Trustee Board was involved in policy making, planning and development control of Dhaka. Conventionally, the Board called on general and special meeting to take decisions and actions on raising problems. The major functions of the organization dealt with preparation of development plans, widening roads and reduce congestions, lay out plans for better traffic circulation, providing open spaces for recreation, demolishing or constructing buildings and construction of roads, bridges and culverts. Acquiring of land under Town Improvement Act 1953 for area development, providing urban facilities and services for public uses and for improvement schemes. The Rajdhani Unnayan Kartripakkha (RAJUK) had been emerged through the ongoing crisis of planned and controlled development of Dhaka City. RAJUK established in April 30, 1987 by replacing Dhaka Improvement Trust (DIT). The prime intension of the organization was to develop, improve, extend and manage the city and the peripheral areas through a process of proper development planning and development control. Rajdhani Unnayan Kartripakkha (RAJUK) structured and governed by the Chairman and five other Members appointed by the Government. They are full time officials and the Chairman is the Chief Executive of the Authority. The overall responsibilities and functions of the Chairman and the Members are prescribed and assigned by the government. The Chairman presides all the meetings of the Authority. Special meeting commences at the request of the Chairman to address urgently raised issues. In his absence, a Member authorized by the Chairman preceded the meeting. The existing structure of the organization stands with the old version of Organogram having 728 officials of which 140 officials under Planning Section are shown the working strength of the Authority. At that time RAJUK comprised an area of 320 sq ml after then RAJUK has extended an area up to 590 sq ml under its jurisdiction, whereas the number of officials only increased up to 1081 of which Planning Section provided for total 253 officials according to the proposal of the new Organogram prepared and placed in 1987. This Organogram has been approved by the Establishment and pending for clearance from the Finance. It seemed to unrealistic and absolutely insufficient to cope the huge area including 3 more pourashavas and existing DCC area. The ratio of manpower is less than 2 persons per 3 sq ml and most of them non-professional and unskilled. The organonogram having the number of 1081 officials is still not sufficient enough to handle the increasing pressure. In 1992, RAJUK started to execute the Dhaka Metropolitan Development Planning (DMPD) Project having recruited officials who involved with the Planning Team in the process of plan preparation for Dhaka. In 1995, the project was completed and according to the TAPP, the trained and skilled Project Officials are then ready to absorb in the main set up of RAJUK for strengthen institutional capabilities. Meanwhile, an order circulated by the Ministry of Establishment on the basis of the proposal for recruitments of 78 project officials within the RAJUK’s main setup. The posts of 57 Project officials been approved by the Establishment for absorption in the present set up of RAJUK form 1st July 1996. In this view the Establishment has been proposed through notification that 57 officials to be merged in addition to the proposed Organogram of 1081, which now has been placed in the Finance for final approval. According to this order the manpower of Planning Department will be increased up to 308 (253 + 55). The order of Establishment now been approved by the Ministry of Finance by proposing 55 posts out 57 posts of which included with the existing 253 post and will remain under planning department of RAJUK. The conflicts between RAJUK and Project Officials become the main issue in placing Project Officials in the main set up. In view of this problem another Organogram having the posts of 1232 officials have been proposed in October 1999 to the concern Ministry for approval. Of this Organogram, Planning Section of RAJUK concerns 318 officials of which 68 new officials are to be posted under Chief Architect. This Organonogram have partially been implemented through the appointment of two Authorized Officers with the existing two posts of Authorized Officer by an order issued in February 2001. There is need some corrections according to the volume and pressure of works on RAJUK’s present activities. With the available manpower resources an organization like RAJUK never be able to achieve the target and goal at its optimum, and the service will remain at the distance, which people do not expect and deserve. According to TI Act, 1953, [4. (1) The Kartripakkha shall consists of a Chairman and not more than five other members. (2) The Chairman and other members shall be appointed by the Government on such terms and conditions as it may determine. (3) The Chairman and other members shall be the whole time officers of the Kartripakkba. (4) The Chairman shall be the chief executive officer of the Kartripakkha. (5) The Chairman and other members shall exercise such powers and perform such functions as may be prescribed, or as may be assigned to them by the Government from time to time. (6) If a vacancy occurs in the office of the Chairman or if the Chairman is unable to discharge the functions of his office on account of absence, illness or any other cause, the Government shall make such arrangement for discharging the functions of the office of Chairman as it may consider expedient. Chairman has the power to control all the employees, as being mentioned in 36 of TI Act, 1953, ‘The Chairman shall exercise supervision and control over the acts and proceedings of all employees of the [Kartripakkha]; and, subject to the foregoing sections, shall dispose of all questions relation to the service of the said employees and their pay, privileges and allowances: According to 36 of TI Act, 1953, The Chairman shall exercise supervision and control over the acts and proceedings of all employees of the [Kartripakkha]; and, subject to the foregoing sections, shall dispose of all questions relation to the service of the said employees and their pay, privileges and allowances. And According to 37 of the TI Act,Delegation of certain functions of Chairman is. [(1) The Chairman may, by general or special order in writing. delegate to any member or officer of the Kartripakkha any of the Chairman’s powers, duties or functions under this Act or any rule or regulation make thereunder except those conferred or imposed upon or vested in him by sections 27, 29 and 31.] (2) The exercise or discharge of any powers, duties or func-tions delegated under sub-section (1) shall be subject to such conditions and limitations if any, as may be prescribed in the, said order, and also to control and revision by the Chairman. According to 26 of TI Act, 1953, The [Kartripakkha] may enter into and perform all such contracts as they may consider necessary or expedient for carrying out any of the purposes of this Act. (c) The contribution payable under section 160 in respect of each such employee. Any person can not be recruited if he/she does not fulfill the required qualification. In the case of direct recruitment, if any person does not suit the required age, then the condition is as follows:- If any person is already recruited on adhoc basis. He/she isn’t fit physically certified by any medical officer. The past activities of such seleted person isn’t inspected by the appropriate agency and when they are inspected, it is not seen that he is not eligible to recruit in RAJUK. He/she does not submit the application form (if necessary) on the deadline which is mentioned in the advertisement by the authority. He/she submit the application form to chief executive officer while engaging in govt. job. Any person is recruited through the promotion based on the recommendation of related selection commission. Any person employed in the service may be promoted by his extra ordinary contribution, punctuality or to pass any respective examination. If any private organization feels the need to have the assistance of any officer of RAJUK, the organization will apply to the RAJUK. The assistance will be offered according to the consideration of RAJUK to that organization. Duration of deputation will not be more than 3 years. Any person recruited to any private organization by RAJUK will go to his own office after the respective duration. The organization which will take the assistance from RAJUK will pay for his service. If any person is permitted for the deputation activities, he will be offered monetary help and other assistance according to their mentioned rule. The selection committee will recommend for the recruitment and for the promotion of employees. Salary and Allowances: Salary and allowances will be given to personnel in the same time if govt. wants. The first recruitment salary will be determined the primary salary of personnel. Maintenance of salary according to the direction of the govt. Salary for promotion: salary will be increased according to the promotion. (1). of incensement of salary is not in postponed, generally incensement of salary will be granted timely that determined. (2). If incensement of salary is postponed, yhtn how long it postponed, that will must be noticed by the related authority. (3). If any apprentice does not complete his course period successfully and does not permanent in job, he will not get any opportunity of incensement of salary. (4). for praise worthy or outstanding performance the recruitment authority can increase twice incensement of salary to any personnel. Should not be absent without permission of authority. Does not take any gift from the client who has any transaction with RAJUK. Should not work as an agent of any insurance company. Should not be involved in any business activities. Without the permission of higher authority, the personnel should not be involved in any job with or without payment. Should not be involved in part-time job without the permission of regarding authority. The personnel can not apply directly any personal application to any member of RAJUK; if necessary he or she can present it to RAJUK through the immediate senior officer. The personnel cannot impose any political pressure for any job related demand. The personnel can not lobby with any political leader for interfering in job related mater. Can not communicate with media about the matter of RAJUK. The personnel should leave debt habitually. Finance is one of the lead construction actors in the development process of Rajuk. The main activities include construction of roads, box culverts and bridges and also development excavation and billion of land as well as everything depends on finance. They collect their finance basically from taxes, revenue, rent from lease land and also from govt donations. Then they expend these for urban development and to serve their actual purposes. The Corporation or Pourashava shall pay from the Corporation or Pourashava Fund to the Kartripakkha on the first day of each quarter a sum equivalent to one-half percent per quarter on the annual value of buildings and lands determined under the provisions of the Dacca Municipal Corporation Act, 1974 (LVI of 1974), or the Pourashava Ordinance, 1977 (XXVI of 1977), as it stood on the first day of the last preceding quarter. (b) repaying any loan previously taken under this Act. Whenever the borrowing of any sum has been approved under section 104, the [Kartripakkha] may, instead of borrowing such sum or any part thereof from the public, take credit from any Bank, on a cash account to be kept in the name of the [Kartripakkha], to the extent of such sum or part ; and, with the previous sanction of the [Government] may grant mortgages of all or any property vested in the [Kartripakkha] by way of securing the payment of the amount of such credit or of the sums from time to time advanced on such cash account with interest. When any sum of money has been borrowed under section 104 or section 105 for the purpose of meeting particular expenditure or repaying a particular loan, no portion thereof shall be applied to any other purpose without the previous sanction of the [Government]. Whenever money is borrowed by the [Kartripakkha] on debentures, the debentures shall be in such form as the [Kartripakkha], with the previous sanction of the [Government], may from time to time determine. (2) All debentures shall be signed by the Chairman and one other [member]. (3) The holder of any debenture in any form prescribed under sub-section (1) may obtain in exchange therefor, upon such terms as the [Kartripakkha] may from time to time determine, a debenture in any other form so prescribed. (4) Every debenture issued by the [Kartripakkha] shall be transferable by endorsement, unless some other mode of transfer be prescribed herein. (5) The right to sue in respect of moneys secured’ by debentures issued by the [Kartripakkha] shall vest in the respective holders of the debentures for the time being, without any preference by reason of some of such debentures being prior in date to others. All coupons attached to the debentures issued under this Act shall bear the signature of the Chairman ; and such signature may be engraved, lithographed or impressed by any mechanical process. When any debenture or security issued under this Act is payable to two or more persons jointly, and either or any of them dies, then, rs of a deceased person against such survivor or survivors. Where two or more persons are joint holders of any debenture or secrurity issued under this Act, a—,y one of such persons may give an effectual receipt for any interest or dividend payable in respect of such debenture or security, unless notice to the contrary has been given to the [Kartripakkha] by any other of such persons. All payments due from the [Kartripakkha] for interst on, or the repayment of, loans, shall be made in priority to all other payments due from the [Kartripakkha]. (e) partly from the sinking fund established under section 113 in respect of the loan, and partly from money borrowed for the purpose under section 104, clause (b). Whenever the [Government] have approved the repayment of a loan from a sinking fund, the [Kartripakkha] shall establish such a fund and shall pay into it in every year, until the loan is repaid, a sum so clalculated that, if regularly paid throughout the period approved by the [Government] under section 104, it would, with accumulations in the way of compound interest, be sufficient, after payment of all expenses, to pay off the loan at the end of that period. (2) The rate of interest, on the basis of which the sum referred to in sub-section (1) shall be calculated, shall be such as may be prescribed by the [Government]. Notwithstanding anything contained in section 113, if at any time the sum standing at the credit of the sinking fund established for the repayment of any loan, is of such amount that, if allowed to accoumulate at the rate of interest prescribed under sub-section (2) of that section, it will be sufficient to repay the loan at the end of the period approved by the [Government] under section 104, then, with the permission of the [Government], further annual payments into such funds may be discontinued. in the joint names of the Secretary to the Government [ in the Ministry or Division dealing with Finance and the Comptroller and Auditor-General of Bangladesh, hereinafter referred to as the Auditor-General, to be held by them as trustees] for the purpose of repaying from time to time the debentures issued by the [Kartripakkha]. (2) All dividends and other sums received in respect of any such investment shall, as soon as possible after receipt, be paid into the appropriate sinking fund and invested in the manner prescribed in sub-section (1). (3) Any investment made under this section may from time to time, subject to the provisions of sub-section (1), be varied or transposed. The aforesaid 4[Trustees] may from time to time apply any sinking fund, or any part thereof, in or towards the discharge of the loan or any part of the loan for which such fund was established ; and until such loan is wholly discharged shall shall not apply the same for any other purpose. (e) The aggregate amount already paid into each sinking fund. (2) Every such statement shall be laid before the 1[.Kartri-pakkha] and published by notification. The said sinking funds shall be subject to annual examination by the [Auditor-General], who shall ascertain whether the cash and the current value of the securities at credit of such funds are actually equal to the amount which would have accumulated, had investments been regularly made and had the rate of interest as originally estimated been obtained there from. The [Auditor-General] may take into consideration any excees accumulation in any one sinking fund towards any deficiency in any other sinking fund. (2) The [Kartripakkha] shall forthwith pay into any sinking fund any amount which the [Auditor-General] may certify to be deficient, unless the [Government] specially sanction a gradual readjustment. (c) to make any investment prescribed by section 115, the [Auditor-General] shall make such payment or set aside and invest such sum as ought to have been invested under the said section 115, as the case may be ; and the [Mayor of the Corporation or Chairman of the Pourashava] shall forthwith pay from the [Corporation or Pourashava Fund to the AuditorGeneral] a sum equivalent to the sum so paid or invested by him; and the [Government] may attach the rents and other income of the [Kartripakkha]. All moneys paid by the 2[Mayor of the Corporation or Chairman of the Pourashava] under sub-section (1) of section 119 and not reimbursed by the [Government] under sub-section (2) of that section and all moneys payable under sub-section (1) of section 119 and levied under section 120 shall constitute a charge upon the property of the [Kartripakkha]. (1) The Chairman shall, at a special meeting to be held in the month of [May] in each year, lay before the [Kartripakkha] an estimate of the income and expenditure of the [Kartripakkha] for the next ensuing financial year. (2) Every such estimate shall make provision for the due fulfillment of all the liabilities of the [Kartripakkha] and for the efficient administration of this Act. RAJUK control all the development activities of Dhaka City under the provisions of Town Improvement Acts, Building Construction Rules and Land Use Regulations within the area under its jurisdiction. Any use of land or any type of construction needs approval or clearance from RAJUK and Authorized Sections are responsible for issuing those land use clearances. Till very recent past RAJUK dealt with only two (2) Authorized Sections and each Authorised Section provided and served with 1 Authorized Officer, 1 Assistant Authorized Officer, 2 Chief Building Inspectors, 25 Building Inspectors and Sub Inspectors. Under a notification issued by the government in 7th February 2001, the number of Authorized Section increased from 2 to 4 by some structural modifications. The areas of jurisdiction also specified for each Authorized Section. They are being well supported by the Building Construction Committees consist of 7 members and headed by the Members (Planning and Development). Each Authorized Section comprised with 1 Authorized Officers, 1 Assistant Authorized Officer, 1 Chief Building Inspector, 6 Building Inspectors and 10 Building Sub-Inspectors. Each Authorized Section has specified with its own areas of jurisdiction. BC committees were inactive for a period of 3 months (from 05.01 2000 to 12.02.2001) due to reorganize the committee and transferring and appointing new Member (Planning). Land use clearances have found some or major deviations when constructing the buildings and seemed to be regular practice almost in every cases of approved plans. These happened due to non-applications of powers and lack in enforcement of building constructions rules and regulations. Negligence in duties, intention to forgo some specific cases, poor inspection and reporting and political influence made Authorized Section a fearsome part of the organization. In case of some critical issues, clients or developers some how manage the authority for land use clearances for particular areas where development is restricted for specific purpose. Peoples claimed that the files/plans are not approved properly and sites are not inspected as per given parameters. The unnecessary harassment or time killing or missing of specific files or put objections on files are most common practice dealing the Authorized Sections. The overall performance of this section is not up to the mark as mentioned by the clients. In some cases the process of plan or building construction approval or clearance delayed due to some undefined circumstances and caused peoples to take alternative solutions. Misuse of power and Act also shown by the Authority as claimed by the clients create unnecessary harassment and delay. The provisions of Act clearly defined that the plans should be forwarded for clearance or approval within 45 days and if, any objection made in the plan must be notified within 30 days after submission for approval. In fact the process sometimes take more time as specified in the Act and in many cases it takes years to get the approval. RAJUK’s Authorized Sections are carrying out and dealing the process of development control and responsible for issuing land use clearance or approval for building plans under the provision of TI Act. Civil Aviation Authority is now very much worried about building heights and high-rise constructions within the city area and trying to solve this problem as early as possible. Though they are not submitted any clear proposals defining or indicating the buffer where the developments to be controlled. Civil Aviation Authority not asking RAJUK for any clarification about height zone or land use clearance procedures for high rises or not given any guidelines for height restrictions. Meanwhile RAJUK is trying to develop, include and enforce some legal frameworks to limit building heights and constructions of high rises. RAJUK has taken the issue seriously and making liaison with the concern authorities and departments to incorporate the ideas and suggestions for better control and check the growing tendency of high-rise buildings in and around the region close to the air traffic and vulnerable areas. There is need to be defined a clear, understandable and implement oriented rules and regulations to restrict building heights in specific/restricted areas. Building heights to be limited and to be varied in terms of location and environment. Department of Environment (DOE) has imposed objection and made restrictions over land use clearance for high-rise buildings to protect environmental hazards and degradation of environmental quality and thus asked for prior approval. There is no such restriction imposed for constructing buildings up to 6-storied, but need prior approval from concern agencies and departments those who provide urban services and facilities. Planning is the fundamental issue in the process of city development. During plan preparation RAJUK follows certain principles, which include National Urban Policy, Project Design, Planning, Multi Sector Investment Program and existing Policies and Programs of different Agencies. RAJUK is one of the lead “Construction Actor” in the development process of Dhaka. The main activities include construction of roads, box-culverts/culverts and bridges and also development, excavation and filling of land. Planning and design are the basic stage of construction. Project preparation, feasibility study, project programming and time scheduling are directly under the planning component. Detailed Qualities and Estimate of Materials. City area is changing continuously through development activities by different actors like government agencies, private developers, individuals and others. Planned urban growth is mainly based on the development control measures. Land use control in urban areas of Bangladesh is initiated with the adoption of the Town Improvement Act 1953. The East Bengal Building Construction Act, 1952, (amended 1987) is also considered a legal document for development control. Rules, regulations and ordinances of the City Authorities are also being exercised for this purpose. Every construction requires permission as per provision of `The East Bengal Building Construction Act 1952 (amended 1987) (EBBC Act 1952)’. The developing agencies are empowered for planning permission and approval of building plans and prevent illegal constructions in the metropolitan areas. Statutory rules control land use according to planning standards. It is based on land use policies including local plans, such as control of residential density, road standard, maintenance providing of infrastructure and services. The acts and the master plans of the cities are the principal legal instruments, which force and exercise planning control and standards. The land use of metropolitan Dhaka ought to follow the provision of the City Master Plan. Housing, commercial and industrial project buildings need planning permission, which are generally practiced. It must be in conformity with the land use provision of the Master Plan. According to the `East Bengal Building Construction Act-1952 (amended 1987)’, each and every building within the designated areas of City `Master Plan’ needs approval from the City Development Agencies. As per Acts, the definition of building is: `Building includes a house, hut, wall and any other structure where of masonry bricks, corrugated iron sheet, metal tires wood, bamboo, mud, leaves, grass, thatch or any other materials whatsoever’. The Act has empowered to initiate building rules under section 18, EBSC Act 1952 which has been updated, based on public interest, regularly since 1954, (in 1984, and in 1996). It has been formulated through the Government of Bangladesh exercising the power of the Act. RAJUK has a Development Control Section (Authorized Section). Previously this section was comprised with two Authorized Officers, two Assistant Authorized Officers, four Chief Building Inspectors, 50 Building Inspectors and other staff. Now the number of Authorized Section increased in four (4) instead of two (2) by increasing the staff members and demarking the areas specified under control of each authorized jurisdiction. These sections are supported by the four Building Construction (BC) Committees headed by the Members (Planning and Development) for approval of the building plans and exercising the powers of the Act for planned growth of the city. RAJUK as a prime Planning Authority represents Bangladesh as well as Dhaka City in various National and International Seminars, Symposiums and Workshops held in home and in abroad. RAJUK tries to incorporate and share the ideas and concepts related to planning and development adopted or practiced in different part of the World. RAJUK participates in various training programs to improve the organizational capabilities. RAJUK is an active member of CITYNET, SAARC-SHELTERNET and HABITAT-II. RAJUK organize Seminars and Workshops on different Urban issues in regular basis, the seminar on World Habitat Day is an example. Prepare a legislative framework for the metropolitan level governance structure for Dhaka. Prepare a legal framework for adoption of the Plan. Draft suitable national legislation or legal instruments enabling land re-adjustment schemes to be undertaken in Dhaka. The Plan attempted to draft Interim Planning Rules into a Semi-legal format, there will still be required some legal expertise to enable them to be legally acceptable and operational in the Bangladesh context. It could be done by the approach realistically formulated by an experienced National Legal Consultant who is familiar with Planning Laws in Bangladesh. The main purpose of Land Acquisition department is to acquire land for different projects of RAJUK. When Land Acquisition get notice/request of acquisition from the planning department, Land acquisition department opens a land acquisition file for the project and takes necessary steps. This case information includes land requirement, nature of the land, detail description of project and structure etc.According to the site map from the Town planning department the land department makes mouza wise plot index \to estimate amount of land to be acquired and also identifies the dag no in each mouza with help of RS/CS map. DC office makes an estimate of compensation with the help of RAJUK based on the area of acquisition and infrastructure of the affected plot. After DC office acquires the land they issue a possession certificate to RAJUK. Total compensation against the estimate is paid to DC office by RAJUK. After getting possession certificate RAJUK handovers the project to project development department. The first Master Plan of Dhaka was prepared in 1959 by a British firm – Minoprio, Spencely and Macfarlane under the technical cooperation of the Colombo International Plan Scheme. The Plan covered roughly 830 sq. km (320 sq. miles) with a target population little over 1 (one) million assuming an average annual population growth rate of1.75% in the city areas. Expansion of city was largely predicted towards the North leading Mirpur and Tongi. The Plan in general, suggested a broad planning principle and zoned the urban area accordingly for various activities. Although, the Plan was prepared for a period of 20 years (1959-79) time but it lasted almost double till the enforcement of new plan in 1995. The plan provides a long-term strategy for the 20 years for the development of the greater Dhaka sub-zone with a population target of 15 million. The plan consists of a written report and policy documents with support maps of appropriate scale. It identifies the order of magnitude and direction of anticipated urban growth and defines a broad set of policies considered necessary to achieve overall plan objectives. It considers the micro environmental aspects of Dhaka, both in its existing urban form as well as for future development to keep the city free from all sorts of natural and man made hazards. The plan recognizes the positive and sustainable role of green belts, preservation of high quality wet and agricultural lands and existing rivers in and around the city limits and their continuous upgrading and evaluation and thus recommends for building a circular waterways round the city. The plan also earmarks a number of retention ponds around the city limits for retaining rain water as well as for maintains an ecological balance too and a healthy environment. With the most growth having been focused on Dhaka’s main urbanized areas and directed towards new priority areas within the areas protected by FAP 8A and 8B. Land development within the flood plain designated areas of the plan will be controlled in order to avoid obstructions to flood flow which might otherwise lead to adverse hydraulic effects. Environmental protection measures will be taken to prevent pollution of the Lakhya river and its tributary, the Balu river, in order to ensure that it remains a viable, long-tern source of potable water for Dhaka city. No noxious industry should be allowed on banks of the rivers. To designate special targeted locations within RAJUK’s control areas. The locations identified in the plan which are Tongi, Dhamsona, Savar and Narayangonj. The important reason has to be considered to stimulate a sound economic base in support of population dispersal. The Urban Area Plan (UAP) provides an interim mid-term strategy for the 10 years and covers the urban areas within Metro Dhaka Management Areas. The geographic boundaries comprise of the areas of Flood Action Plan (FAP) components 8A and 8B as well as the Tongi-Gazipur and Savar-Dhamsona areas. The Plan has several parts consisting of an explanatory report, resource maps, interim management report, interim planning rules, urban area plan maps and multi-sectoral investment programme. As an interim plan, the UAP is intended to be gradually superseded by the various Detailed Area Plans which cover specific geographic sub-areas of the city. These areas will offer housing opportunities and will provide planned development facilities for about 30 lac people. The Detailed Area Plan (DAP) provides more detailed planning proposals for specific sub-areas compliant with the Structure Plan and the Urban Area Plan. The Metro Dhaka Structure Plan area is subdivided into 26 Strategic / Spatial Planning Zones (SPZ). The DAP will be prepared for each SPZ areas eventually. Until the DAP is prepared for a sub-area, however, land use management functions will be exercised through the policies, guidelines, and rules found in the Structure Plan and the Urban Area Plan. The DMDP Project Cell of RAJUK has already completed the DAP for Dhaka-Narayangon-Demra (DND) triangle areas. Now, arguments grow up in different policy levels about DAP. The Detailed Area Plan (DAP) is third and last tier of Development Plan for Dhaka City i.e. Dhaka Metropolitan Development Plan (DMDP). It provides more detailed planning proposals for specific sub-areas compliant with the Structure Plan and the Urban Area Plan. DAP area is 1528 sq. km or 590 sq. miles which covers the total RAJUK’s jurisdiction area. DAP started in July 2004. The project will be completed by December 2008. The total DAP area was divided into five groups and a number of small locations. These were awarded to five firms which are DDC, EPC, GBL, Sheltech (Pvt.) Ltd and BETS. Modern digital survey technique has been used for physical feature and topographic survey of DAP area. RTK (Real Time Kinematics) GPS and Total Station was used for survey. This will provide data with minimum error. All the data (mouza map and physical feature) in DAP are kept in GIS (Geographic Information System) based database using ArcGIS 9 software. Urban Planners and other experts used that database for plan preparation. The major advantage of this database will be efficient updating exchange, dissemination and decision support use. The modern technology based planning tools ie. GIS plays a very vital role in the database management, spatial analysis and visualization of urban planning, policy / decision making, management and monitoring. A GIS unit was installed in RAJUK as one of the four component in the DMDP. In the process of the DMDP project, the GIS unit produced all the maps needed for the Structure Plan and the Urban Area Plan. Currently, the GIS unit is not in a very much functional stage. The hardware and software installed needs an upgradation to make the Unit more operational and cope with the present and future needs. It intends to prepare all the important strategic maps like Airport Restriction Zone, Key Point Installation, Fault Zones, Flood Zones, Utility Services and Infrastructure by GIS technology. It also attempts to have an Automated Mapping (AM) system by GIS technique for the building permission / approval in the metropolitan areas. It designates any new general industrial areas for development in the SP period to 2015, after the Tejgaon and Tongi industrial estates are operating at full and optimum capacity. In the SP the different special areas are proposed for Foot Loose Industries in the industries would be non-polluting and non- noxious. The areas will be pre-designated industrial areas. The authority will commit itself to an integrated policy of the incremental environmental upgrading and relocation where necessary of Dhaka’s existing polluting industries in a manner commensurate with sound environmental practice and cost effectiveness. To encourage informal sector economic activities by means of relaxing these regulations which tend to stifle these initiatives and providing opportunities to enhance conditions and productivity. In recognition of the prevailing low mobility levels of the majority of Dhaka’s work force the authority will seek to promote the gradual dispersal of commercial activity to the existing suburbs and new growth areas. To promote open space and recreational facilities exploiting the resource of vacant and under utilize government land with in the established urban areas. In pursuance of the proposed long–term road network the authority will seek to promote an incremental approach to its overall development as a means of conserving resources and being responsive to proven demand for the service being offered. All proposed activities for road construction is phase out. The Authority will afford high priority to the development of a limited access Eastern By pass to become a key link in the emerging national net-work of arterial roads and to relief the existing urban network. In the long term strategy Commuter Rail Network will promote the development of commuter rail network, to serve the high-density sections of the main urbanized areas. There is no other way to ease the traffic flow and mass transit of future Dhaka but to have SUBWAY. The proposed subway lines will cover Jatrabari to Gabtoli, Jinjira to Mirpur, Madani Avenue to Mirpur Road (Beauty Cinema Hall), Fulbaria to Madartek, Gabtoli to Jahangirnagar University, Multi-modal Transport Terminal to Mirpur Road and Farmgate to Asadgate. develop intercity water transport system. Basically, Rajuk is the pioneer of the development process of the capital. So, it takes necessary initiatives that are consistent to the rules, regulations according to the necessity of mass people. It approved private housing projects and it allows registered private land developers to come forward for the development of the capital and sets specific rules and regulations. All the companies try to fulfill the requirements to get approved. Besides, it gets involved in road development and subway development for DMDP area, pedstrain development in the Capital, intercity channel for communication. The DMDP Structure Plan’s Long-term road development strategy is illustrated in su-links above. The main objective of the strategy is to establish a long-term road network for the metropolitan area which will effectively serve the needs of the growing urban concentrations, by providing improved access to the main urban area itself and linkages to areas with potential for growth. Improved road communications will be used as a positive instrument for promoting urbanization in the growth areas proposed in the DMDP Structure Plan. This is an important consideration when evaluating the feasibility of the network and particularly its sequence of development, referred to latter in this Section. Transportation would play a major role for Dhaka’s growth both for the structure plan strategy and also for the alternate options. At this moment Dhaka is one of the least motorized cities in the world. Non motorized movement is dominant in the intracity transportation. The proportion of all travels by motorized vehicle is low. Dhaka integrated Transport Study estimated 66% of all work trips are on foot, 11% by rickshaw. Public transport is poor and disorganized with limited coverage and non motorized transport is inadequate for long distances. Mobility levels are low and consequently dwelling areas remain in close proximity to the workplace. Internal Roads of Prubachal New Town. To Computerize regular activities of RAJUK. Establish information- bridge among all departments of organization. Chairman is the chief of the Authority, so he holds ultimate powers to make the personnel accountable. All the personnel are accountable to the Secretary and through secretary; they are accountable to the Chairman. There are provisions to make the authority accountable. But the mechanisms have been failed due to some unavoidable reasons. Though it is a self governed autonomous body, but it is ultimately liable to the govt for its functions. As it is performing its functions basically by the TI Act, 1953 but it has full fledge accountability mechanism. Some provisions are made to hold it accountable. In each and every processes of under the mechanism, but it cannot work properly due to lots of reasons. Administrative accountability of Rajuk is basically ensured by secretary. He monitors and handles everything concerned with adiminstration. To ensure financial accountability, there is a mechanism led by Deputy Director under Member (Finance). The Account has been audited by the auditors regularly as mentioned in 144 of TI Act,1953. Rajuk keeps options to make contracts as it may consider necessary or expedient for carrying out any purpose of this act, but it keeps holding accountability, as it is driven by TI Act, 1953, according to the article 26 of it. But there is an option to make it accountable by the Execution of contracts and approval of estimates according to article 27. And another source of making the accountability of the contract is mentioned by article 28 of TI Act, 1953. Chairman has to keep eyes open about all the process to make it accountable. As mentioned in 30 of TI Act, The Chairman shall take sufficient security for the due performance of every contract involving an expenditure exceeding one thousand [taka]. And chairman has to sent a copy to the higher authority about the contract to finalize and consider it. Govt may form a high delegation group or taskforce to eliminate the rough methods from accountability process. Bribes: An estimated Tk 150-200 million is transacted as bribes each year at RAJUK only for approval of plans, report says. A plot owner has to spend extra Tk 15000-20000 besides official fees for 3-4 kathas of land. While it was established, people were expecting lots of qualitative services from it, and it has been failed to provide the expected services due to various problems of it. Sometimes, political influences hindered the whole process and sometimes personnel of Rajuk were liable for that. Though it needs lots of expertise while doing of project approval, formulation, implementation, monitoring, it does not have sufficient expertise in different stages and it has to suffer in each and every steps for that. The approval process at RAJUK is so complicated and time-consuming that a few clients are interested to follow the due rules in obtaining official permission. Land owners have to wait for more than a year to get permission for land use. As the approval process is full of corruption and bribes, most of the clients accomplish their task compromising with the authorities. While someone is trying to finishing his job, it may take a lengthily procedures due to the corruption of the bureaucrats of Rajuk and Approved projects by it are not implementing in the proper time because of long procedural system. Though Rajuk is an autonomous body, but it cannot work independently because of Govt. interference. As Rajuk gets fund from govt. sometimes, always have to pay for this . Rajuk approved lots of projects for planned city, but after that they don’t monitor at the implementation stage. Though Rajuk work for planned infrastructure, but it itself does not have enough infrastructure to complete its job for the sake of mass people. Planned urbanization is the main motive of RAJUK but they are not successful in achieving their purpose. Their income sources are not enough to run their plans and projects properly. And staffs are not paid well. As a result, they are getting involved with corruption. Political instability is one of the main headaches of mass people in the process of development orientation, as a result of this; consistent development processes are being hindered by the political instability created by the political parties. Rajuk distributes flat/plot discriminately. They become influenced by politicians, powerful officials and so on. They are used to partiality when to allotting plots and flats and being biased by politically ideals. According to the research, over 90 per cent of the city’s buildings have been erected without following the “Building Construction Rules 1996. While projects are implanting, in many cases, Rajuk does not follow building codes due to different reasons. Rajuk officials and owners are liable for that basically. As a result, there occur some incidents and accidents. In almost times, Rajuk does acquisition, but after the acquisition it doesn’t compensate for that work properly and the rate is too lower. RAJUK does syndicate with many development companies and it helps establishing unplanned housing in Dhaka city. Only four out of over 20 real estate developers’ housing are approved by Rajuk. Employees of RAJUK are not committed, sincere with their job and irresponsibility with irregularity is a great barrier. 21. Brokers: lots of brokers are in Rajuk building and they have a strong syndicate to doing everything. Rajuk faces hartals, strikes by labors incorporated in Rajuk due to various reasons. As a result, plans and programs are being hindered. When a political govt is in power, political leaders always used to suspend their unfriendly officials and labors. Finally we can say for sustainable development social equity, economic stability balanced Environment are prerequisite. For ensuring them a cooperative efforts is essential and we hope RAJUK, City Corporation, Land Department, as well as General people should be concerned to established a dream Dhaka City.